Humans or climate, what killed the mastodons? Giant beasts were likely victims of climate change along with human interaction. Around 12,000 years ago, massive land animals living in the region that is now South America became extinct, a time that coincides with the end of the last ice age. 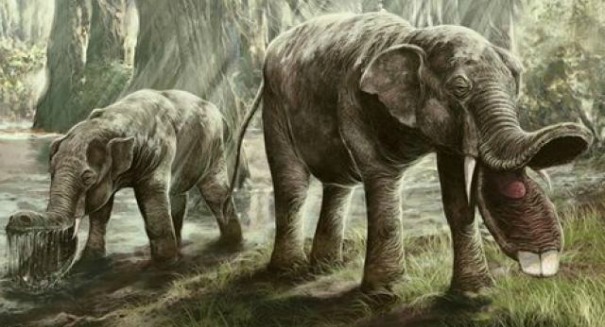 Scientists have long debated the reason for the extinction, but new evidence is leading some to believe it was a combination of human activity and climate change that brought the giants to their demise. Dr. Jessica Metcalf, an evolutionary biologist and ecologist at the University of Colorado, Boulder, and a team of colleagues, compiled a sequencing of the DNA of fossils found across the continent and found an interesting pattern, according to the Christian Science Monitor. It is believed that humans began to settle the area about 15,000 years ago, or maybe even a little earlier, but the megafaunal extinctions began to occur at about the 12,000-year mark. Metcalf and the team found that the giant beasts and humans co-existed for anywhere from 1,000 to 3,000 years, but when the climate began to warm rapidly, the animals could not survive. The research team was surprised to find how closely the extinctions coincided with the climate warming. To them, that meant it was a combination of climate change and human interaction that pushed the massive animals into extinction. “This shows us that climate warming can be a really big threat to megafauna,” commented Metcalf. The team also radiocarbon-dated the fossils during the research, and found an interesting fact concerning the wild ancestors of the llamas and alpacas that are still found in the region today. “It was always thought that the guanaco lived through these extinctions in the Patagonia,” continued Metcalf. But the team says the DNA evidence shows the camelids living at the time also became extinct. The evidence shows a small population retreated to the north, and re-populated the area about a thousands years after the extinction. These animals were probably the actual ancestors of the camelids in South America today. The team’s research was published in the journal Science Advances.